Lakers legend Earvin “Magic” Johnson is reportedly part of a group looking to buy the LA Dodgers, according to the Los Angeles Times. Johnson would reportedly join with former Washington Nationals and Atlanta Braves executive Stan Kasten and financier Mark Walter, CEO of Guggenheim Partners. Golf great Greg Norman and tennis legend Chris Evert announced they have separated Friday just 15 months after they were married. It is not know if they plan to divorce. In a statement, the couple said only, “We will remain friends and supportive of one another’s family.” The statement said they requested privacy for them and their families. 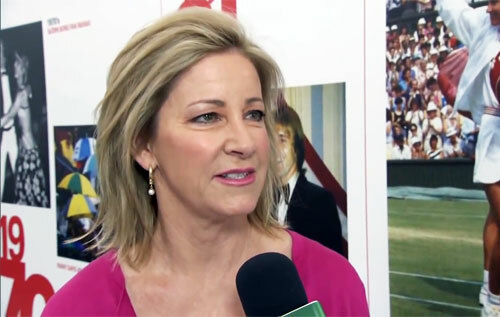 The timing of the announcement was in part to prevent speculation on Evert’s absence at the Presidents Cup, matches between the United States and an International team of countries from every continent but Europe and Antarctica. Jack Kramer, tennis legend and promoter, died of cancer on September 12, 2009 at his home in Los Angeles. He was 88. ESPN’s Cliff Drysdale reported the death during the Rafael Nadal-Juan Martin Del Potro semifinal at the U.S. Open. Kramer, Wimbledon and two-time United States singles champion, was the leading promoter of the professional tennis tours in Los Angeles for 60 years. He was a world class tennis player particularly known for his consistent serve and volley attack, powerful serve and forehand. Kramer was inducted into the International Tennis Hall of Fame in 1968. The Los Angeles Tennis Open was known as the Jack Kramer Open — the only World Tour event to be named for a player. Serena Williams lost to unseeded, unranked Kim Clijsters 6-4, 7-5 at yesterday’s US Open semi final due to a penalty she received for unsportsmanlike conduct. The penalty just happened to be match point. My favorite tennis tournament is Wimbledon, held each year on the grass courts of the All England Lawn Tennis and Croquet Club in London, England. I don’t claim to be a big tennis fan. In fact, I haven’t paid a lot of attention to the sport since the Jimmy Connors – John McEnroe – Bjorn Borg era. However, I always follow Wimbledon with at least a casual glance because of its storied history. This year marks the tournament’s 123rd year of competition. It’s going to be hard for this year to surpass last year’s classic, which featured one of the all-time great men’s finals in which Rafael Nadal won his first Wimbledon title by defeating top-seeded Roger Federer. The final was a fragmented affair due to two rain delays, which stretched the event to over seven hours. The playing time itself made it the longest final in Wimbledon history at 4 hours and 48 minutes.